As part of our “Open Doors” program at St. Mark’s-in-the-Valley, you will find our church open all day, every day. You are welcome to rest, seek, meditate, pray, read, enjoy music rehearsals and otherwise enjoy the sacred space. You are invited to walk our outdoor labyrinth 24/7. Brief guidelines are available, but you can’t do anything “wrong” on the labyrinth. It provides an opportunity to slow down and take life one step at a time. 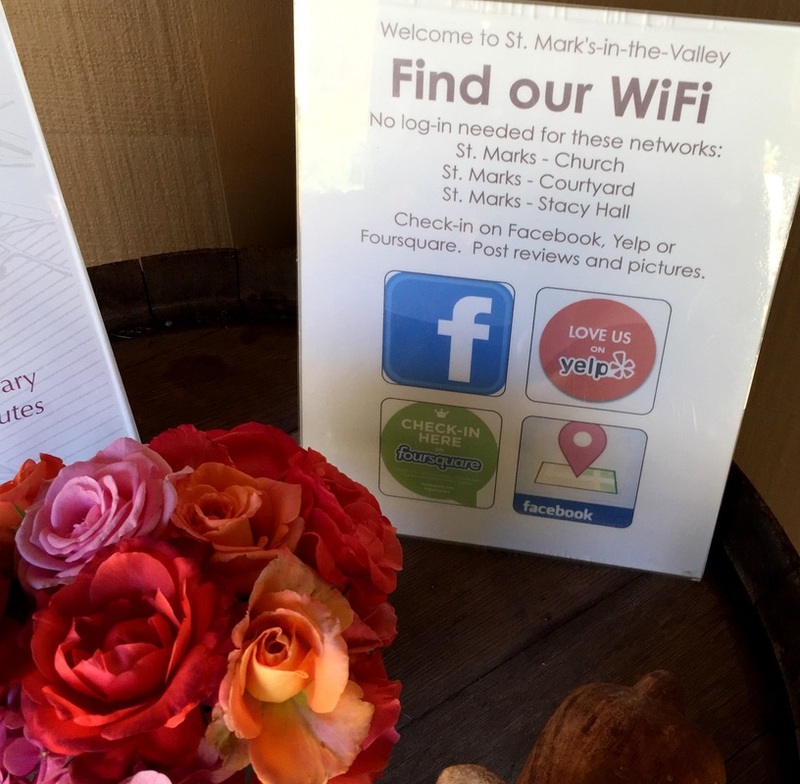 Open wifi networks are available in the church, courtyard and Stacy Hall. The restrooms on the courtyard are available all day, everyday for area residents, workers, and visitors. Benches, rose gardens, a peaceful fountain welcome you to rest or enjoy a conversation with a friend. 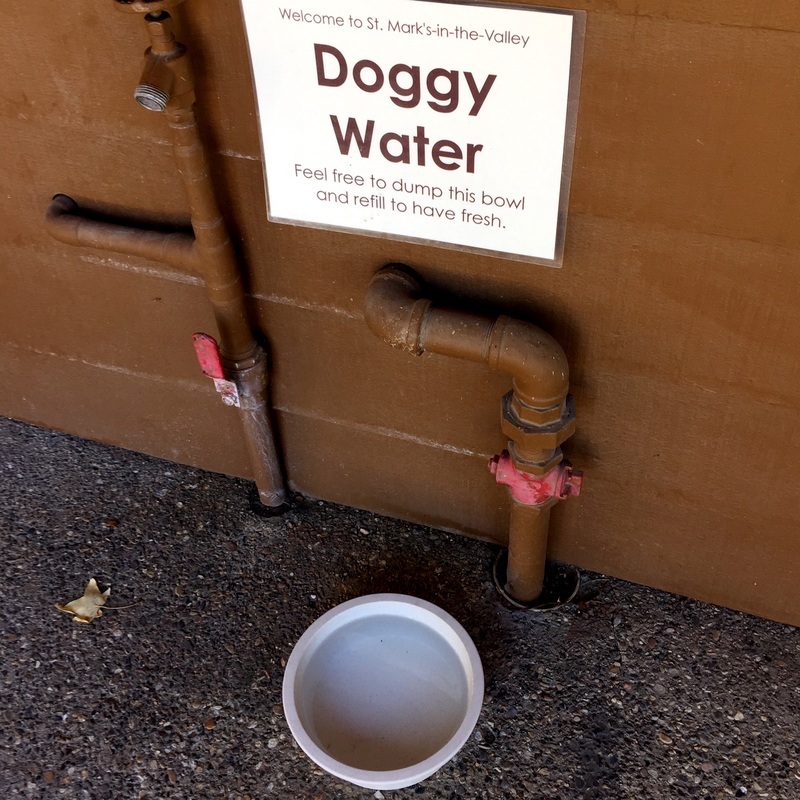 You’ll also find water for your dog in the courtyard and, on especially hot days, there will be ice water for you, as well. Our preschool play area is available for area residents and visitors when the preschool is not in session. 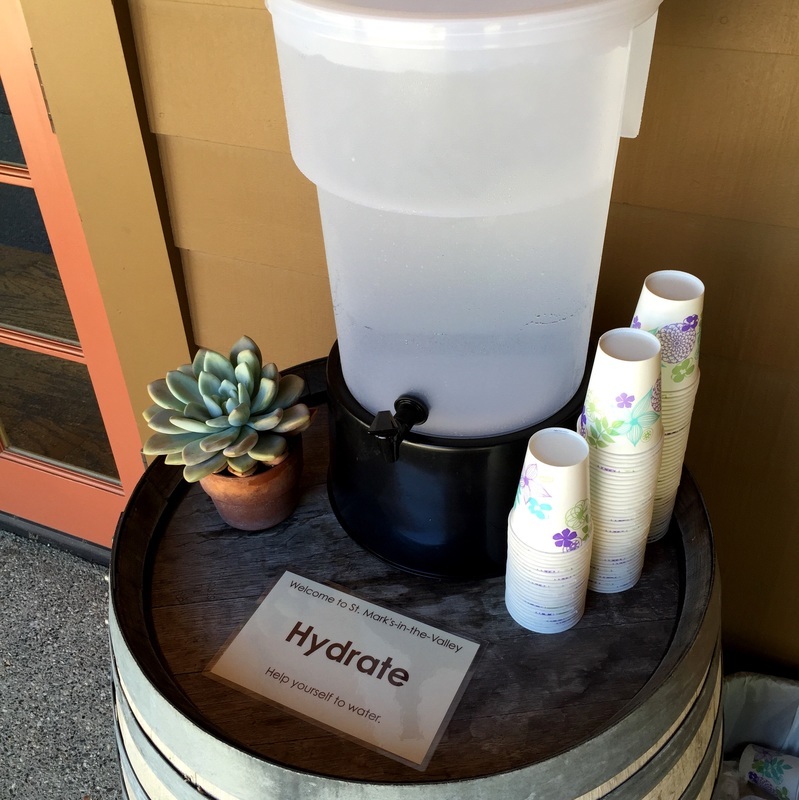 Our 70-car parking lot is available for individuals on a short-term basis while visiting St. Mark’s or Los Olivos. Groups, please check in advance and make arrangements to use the parking lot.